NASL: 17 teams by 2017? 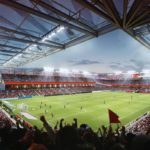 Could AEG be key to Vegas MLS hopes? Sacramento leading contender for MLS expansion team?